Lagos, 24 February 2017 - The Lagos State Ministry of Health is now a trailblazer in efforts to curb transmission of viral hepatitis. It achieved the feat by developing the first time Operational Plan for the control of viral hepatitis in the State. This came on the heels of the adoption of the 2016 National Council on Health resolution that calls for the establishment of state-specific Viral Hepatitis Control Programmes in the 36 states and Federal Capital Territory. With the development of the 2-year operational plan, Lagos state has demonstrated a strong commitment to tackling the silent killer. 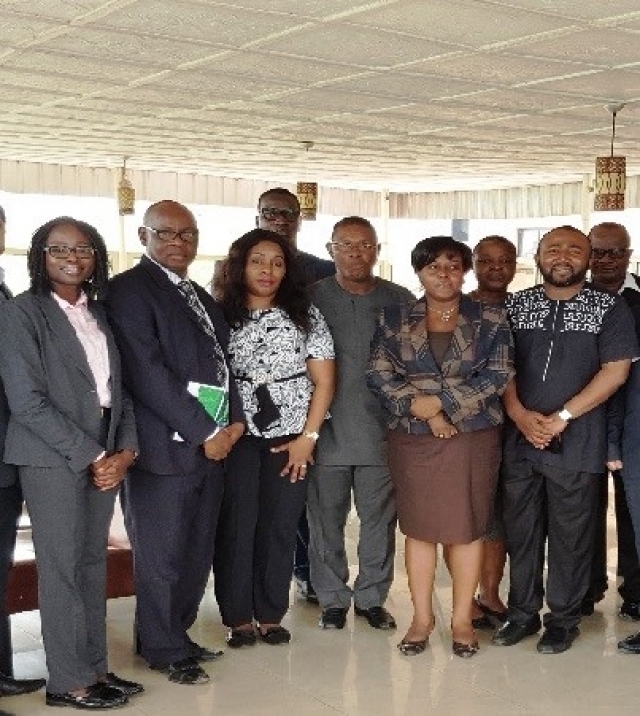 Also known as, the “Center of Excellence”, Lagos plans to make available, viral hepatitis preventive and treatment services in all its health care facilities. Speaking at the workshop, the Director for Public Health, Dr Eniola Erinosho who represented the Commissioner for Health, stated that many “people infected with viral hepatitis B or C are not aware of the disease and hence there exists an urgent need to create awareness on the risk involved and benefits in accessing available services. The director mentioned that the state government is committed towards stopping transmission of the deadly disease by allocating adequate funding to the programme in the 2017 budget. He called on development partners in the state to engender the spirit of partnerships through enhanced intra and inter-sectorial collaboration in tackling the disease. The 2-year operational plan will take its strategic cue from the National Viral Hepatitis Strategic Plan (2016-2020). Results of an earlier study showed that Lagos state has a significant level of endemicity for viral hepatitis B at a rate 2.1%, with variations among the local government areas (LGAs); the highest being 6.0% in Badagry LGA. What is more worrisome is that a significant number of the populace remains unaware of the disease or how to prevent it. Many of the adult respondents that participated in the study have neither been screened nor vaccinated for Hepatitis B virus (HBV). However a separate assessment revealed 96% HBV vaccination coverage for children. Dr Funke Ilesanmi who represented the World Health Organization (WHO) at the workshop underscored that globally, only one in 20 persons know their status and only one in 100 are accessing treatment. She therefore highlighted the urgent need to scale-up awareness and screening as well as access to treatment for hepatitis B and C.
Hepatitis is caused by several viruses. The most common types of viral hepatitis are hepatitis A, hepatitis B, and hepatitis C.